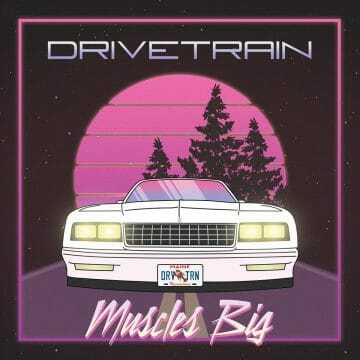 Portland, Maine, USA based rockers Drivetrain consisting of lead vocalist and guitarist Kevin Beling, drummer Alex Fabish, guitarist Butch Fabish and bassist Ben Philbrick will be releasing their debut album Muscles Big on November 23, 2018. The group has already released the title track for the album for streaming. The band will have an album release party at Empire in Portland, Maine, USA on November 30, 2018. Call me the earth mover I’m twenty stone I bring destruction Into your happy home Three hundred fifty horses Will make you cry But I can tell you baby They will never lie We give ’em truth behind the wheel MUSCLES BIG! Don’t give a damn just how you feel MUSCLES BIG!